I was at Target recently and stumbled into these chocolate bunnies. I knew right away that they would make the perfect treats for our buddies. 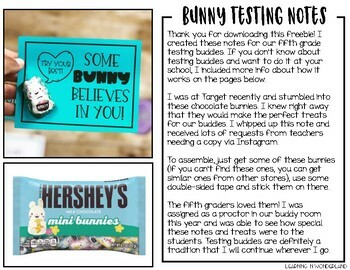 I whipped up this note and received lots of requests from teachers needing a copy via Instagram. 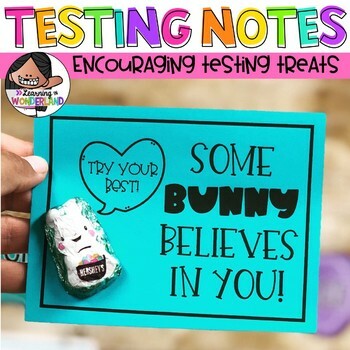 To assemble, just get some of these bunnies (if you can’t find these ones, you can get similar ones from other stores), use some double-sided tape, and stick them on there. Super easy idea that will brighten anyone's day!